Being the First Man in America is never too easy; nor is being the most powerful person in office on the Planet today. 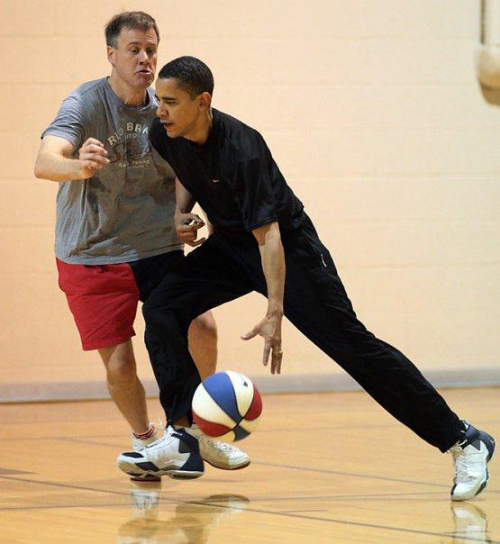 But, casting a glance at Barack Obama, millions around the world are left wondering how he manages to maintain the physique of a sportsman, considering the fact that many presidents before him stood nowhere close. While many of his predecessors have carried a magnetic personality, a lean frame and rippled abs was seldom a quality that was sported. This has sprouted questions in infinite minds about the diet and exercise schedule that Obama follows, bringing the latter to news for a whole new reason. As far as the diet of the president goes, he is never a believer of fancy fast weight loss diets to keep him in shape. He eats practically everything that is nutritious and keeps away from junk food as much as possible. He ensures that all the vital nutrients are present in his diet with keen focus on fiber rich foods. Fresh fruits and vegetables thus, form an essential part of his meals. Importance of calcium, folic acid and proteins is also well recognized by the president and ensures intake of foods that constitutes these nutrients naturally. As far as snacking is concerned, organic berry tea, protein bars, and raw nuts are some of his favorites. He is not practically wary of going on a high protein diet especially because he follows it up with good work out. What is even more appreciable is the fact, the routine of the president is never too robotic. While his resistance to all things junk is commendable, he shows his down-to-earth side by occasionally giving in to the lure of caramel chocolates. If you are looking for truly healthy workout tips, take it from the President himself! Barack Obama basically devotes 6 days in a week to thorough exercising out of which he sets 2 days aside for cardio work outs and the rest for weight training. His schedule begins at 7:30 am sharp where he performs both upper and lower body workouts in order. Overdoing is never a part of his regimen and he maintains a healthy balance between exercises and sports. As far as his rippled frame is concerned, the fitness trainer of the president has revealed his devotion to alternate resistance training. Overall, it is a harmonious balance of proper diet and workout that keeps the President in enviable shape while maintaining youthful fitness. He also believes that proper understanding og diet and exercise is the key to warding off critical health risks that may begin to surface after the age of 40. The message that goes out is strong and clear. If the president, who runs the busiest of work schedules can do it, SO CAN YOU!